The global sustainability landscape has changed markedly in the past 12 months. Climate-skeptic leaders are in power in some of the world’s biggest-emitting countries, including the U.S., Brazil and Australia, and the International Energy Agency has pointed out that greenhouse gas emissions rose in 2018 after a five-year trend of reductions. The #MeToo movement has shone a welcome spotlight on gender inequality (while highlighting how much work remains to be done). In Cape Town, the drought and resulting restrictions on water use provided a stark illustration of the growing scarcity of water and its consequences, while the surge in battery production has shone a spotlight on child labour and working conditions in the Democratic Republic of Congo. A plethora of climate rules and regulations has been introduced over the last year, most successfully in California, which mandated that 100 per cent of its electricity will come from renewable sources by 2045 along with a raft of other measures. But linking a law with climate change doesn’t automatically make it good policy – France’s Emmanuel Macron had to back down on plans to pay for new renewable energy with a carbon tax on fuel. In the corporate world, there have been some significant breakthroughs, too: Royal Dutch Shell became the first oil and gas company to commit to binding emissions reduction targets; the world’s largest shipping company, Maersk, announced it would be zero-emission by 2050 even as it admitted it did not know how it would get there; one of the biggest carmakers, Volkswagen, announced that its last internal combustion engine car would be launched in 2026. Meanwhile, the costs of renewable energy and batteries continue to plummet and a growing number of companies have committed to move to 100 per cent renewable electricity or to cut their emissions in line with a 2°C future through initiatives such as RE100 and the Science-Based Targets. For the first time, developing countries installed more renewable energy capacity than fossil fuel power plants this past year, according to Bloomberg New Energy Finance. 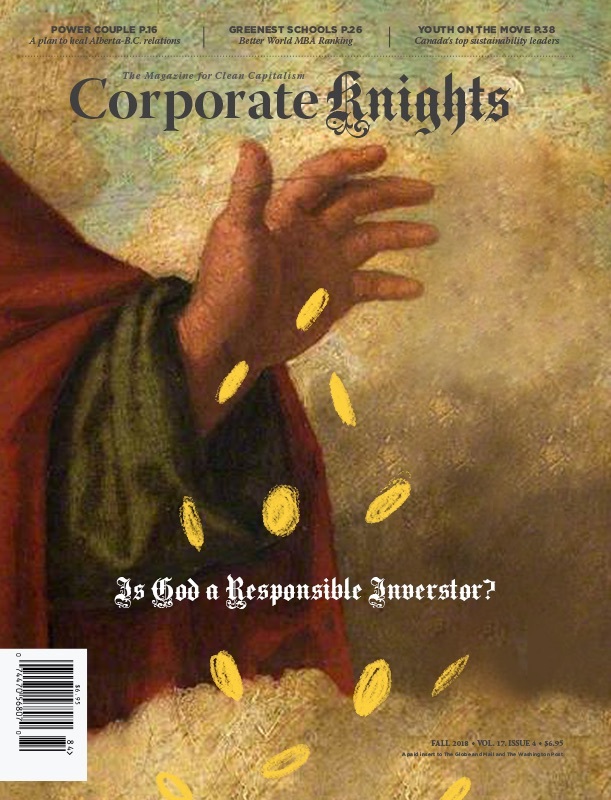 The corporate world is increasingly aware of the consequences of failing to deal with environmental, social and governance issues – from the ever-more obvious impacts of climate change, to issues ranging from Facebook’s travails over the use of data and Goldman Sachs’ involvement in the 1MDB scandal in Malaysia, to the sudden need of retailers, food and beverage producers, apparel makers and others to tackle plastic pollution. In an age of greater transparency, consumers, employees, civil society but especially investors are pressuring companies to act. Shareholders are better informed, better organized and more outspoken than ever before. In part, this is because they have more data, and new technology such as artificial intelligence, machine learning and big data techniques is enabling them to use it more effectively. But they are working together more, as well, through initiatives such as the Task Force on Climate-related Disclosures and Climate Action 100+, which targets the world’s biggest emitters of greenhouse gases. It is increasingly clear that performing well on sustainability issues goes hand in hand with financial outperformance, which is why investors and corporations are embracing it more than ever.